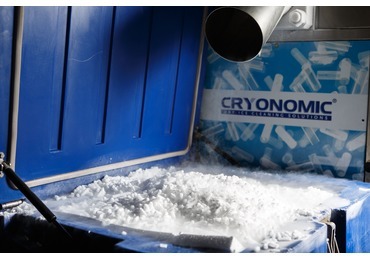 The CRYONOMIC® Isolated Containers (CIC) are very well-isolated thermoplastic boxes. 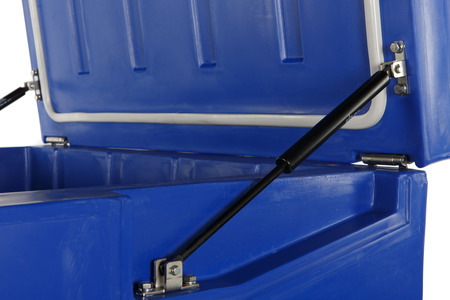 They have been designed for the storage and transport of dry ice and are of course also well suited to keep other products cool. 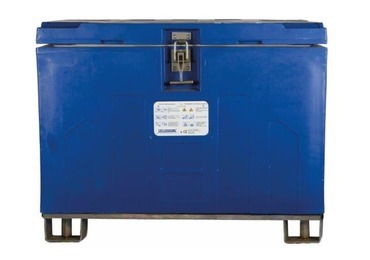 The CIC500 is the largest dry ice container in our product range. 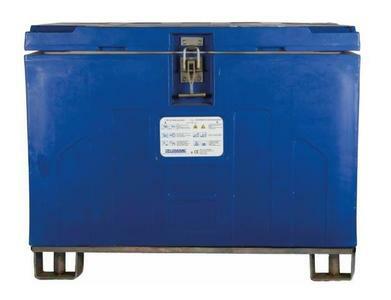 The container has a storage capacity of 400 kg dry ice and weighs 100 kg. The strong and hygienic CIC-series combines the quality and hygiene of the monobloc structure in polyethylene with the use of metal components realised in stainless steel. 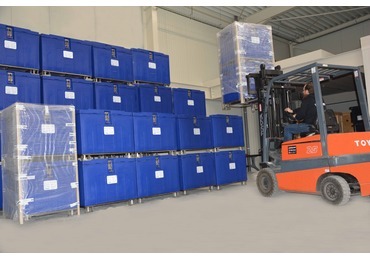 The CIC500 is standard delivered on a pallet so this makes the dry ice containers perfectly stackable. 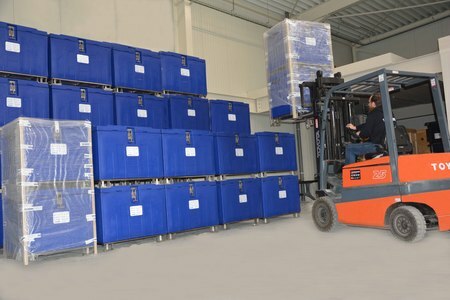 The containers are made with an isolation technique that assures a perfect attachment of the isolation with the inner and outer walls of the container. Even in contact with low temperatures of dry ice the walls will not deform. Questions or more information required about the product 'CIC500'? Beside the CIC500, we have three more sizes in our assortment! The smallest container is CIC85, the second size is CIC150 and the most sold container is the CIC300. 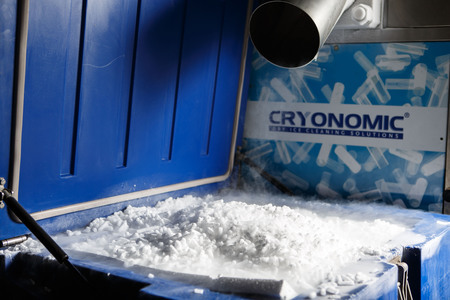 For more details and information about the CRYONOMIC® dry ice containers, please download our leaflet (see Documents).